Are You A Fact Checker Or A Weed Spreader? While preparing for Sunday’s message, I am researching the biology of a biblical plant. I want to make sure that I don’t get stuck saying something about this plant that isn’t true, especially if I am gleaning a spiritual message from it. In our social media crazed age, how quick are we to check facts before we share the latest news or information with someone? Are we really interested in knowing and sharing the truth, or are we too moved by emotion to take a few minutes to see if our what is in front of us is verifiable? I received an email last week from a well-meaning member of our church. It said it contained the commentary of a NBC’s Andy Rooney, speaking on the topic of prayer. You may have heard about this yourself. The email made it sound like it had just happened on the evening news and the world was going crazy over the comments that were in obvious support of prayer. These words were actually written in 1999 by a sports writer from Texas. (You can find out more about the article on Snopes.com.) For more than 10 years this message has found its way into email inboxes, and so few have taken the time to find out the truth. Imagine if this was about you. Or your character. Or something you did in your spare time. Or a loved one. Wouldn’t you want the person forwarding the email to do a fact check before hitting the forward button? Exodus 20:16 (NCV) says, “You must not tell lies about your neighbor.” What is a lie? It is something that is not true. That does not mean that it can be mostly true or sounded true or even something that you think to be true. If it is not the full truth, it is a lie. Those who spread information should be responsible enough to check their facts, but so should those who receive the information. Do you take every word from your family, friends, coworkers or pastor as truth? Or are you doing some investigative work before filing the information in your memory? The world is so worried about “keeping them honest” that they have Anderson Cooper and those like him who are investigative reporters, making sure that the information we have been fed is the truth. We even have Snopes.com, mentioned above, to help us find out about internet scams and falsehoods. You can even visit FactCheck.org to look into what the U.S. government and political bigwigs are talking about. As a fan of VeggieTales, I am reminded of Larryboy’s adventure with the Rumor Weed. When everyone accepts the gossip and then spreads it around, it is like a weed spreading throughout the community. You cannot kill the weed until you accept and spread the truth. 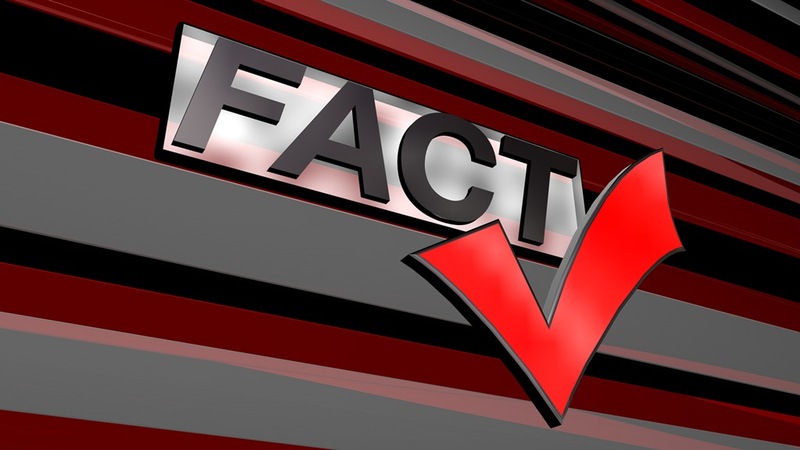 In the beginnings of an election season, you know that people will be fact-checking the candidates and every statistic that comes out of their mouths. Why don’t we take a little more care in the day-to-day information we receive? Be a fact checker and not a weed spreader. Not only will your relationships be safe, but you will bless those you protect by finding out the truth. [Q:] How do you check your facts about a person or situation before you share it? Next ›So, You Call Yourself A Christian? I very much agree. People today are too quick to jump onto something that is “big news”, and that, more often than not, becomes gossip. Which, of course, is not a good thing. Proverbs 18:8 (NIV) says: “The words of gossip are like choice morsels; they go down to a man’s inmost parts.” I personally enjoy The Message translation which says: “Listening to gossip is like eating cheap candy; do you really want junk like that in your belly?” It is definitely important to check something out before sharing it. And if no information can be found to back it up, then why bother sharing? The Message is great there. And you know what “cheap candy” does? Makes you sick.